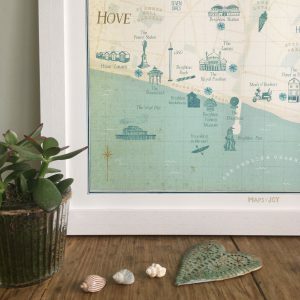 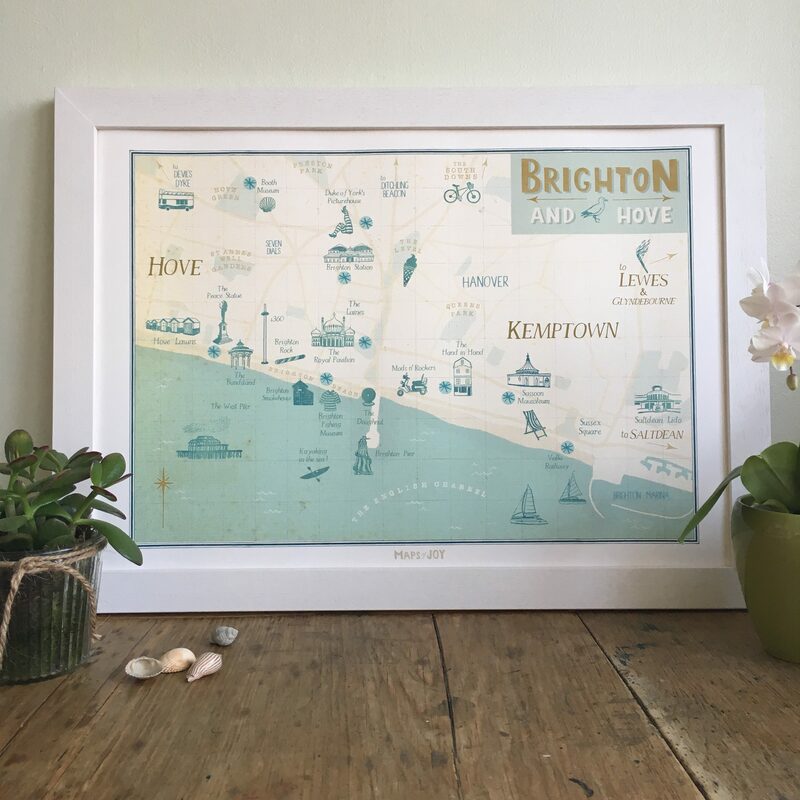 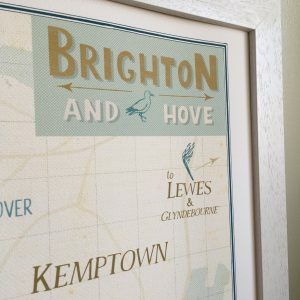 From its world famous Pier and pebbly beach to the cafe culture of the Laines, Brighton is one of those places where adventures always happen! 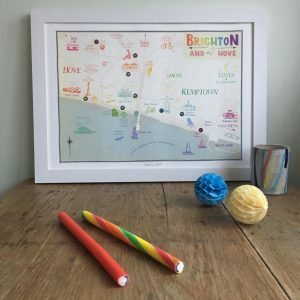 I’ve decided to celebrate everything special about this unique region in my off-the peg map, available in two different colour ways to truly reflect the diversity of the area. 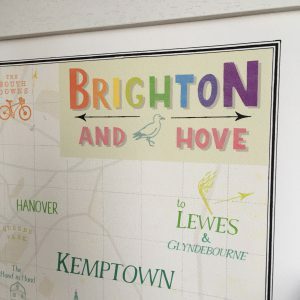 There’s the beautiful, subtle tones of my “Coast” colour way, or the rainbow of colours in the “Spectrum” version, perfect for showing your pride in the city! 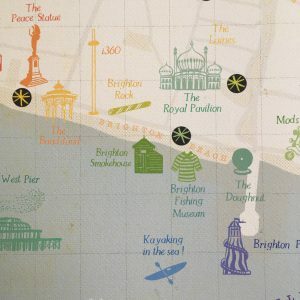 Whichever you choose, like all my other off-the-peg maps, this one can be customised with your very own unique icon if you have something special to mark. 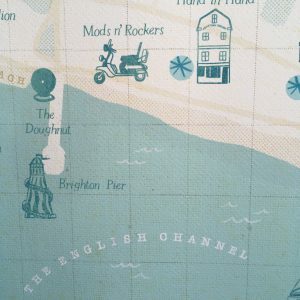 I’ll translate your memory into a bespoke illustration and position it wherever it happened, creating your very own unique version of this map.